Work has commenced on a 779 bedroom student accommodation scheme in Colchester which sees The Pickstock Group do what they do best, in offering a complete turnkey solution. The Pickstock Group, based in the West Midlands will utilise businesses within their Group to complete the project. 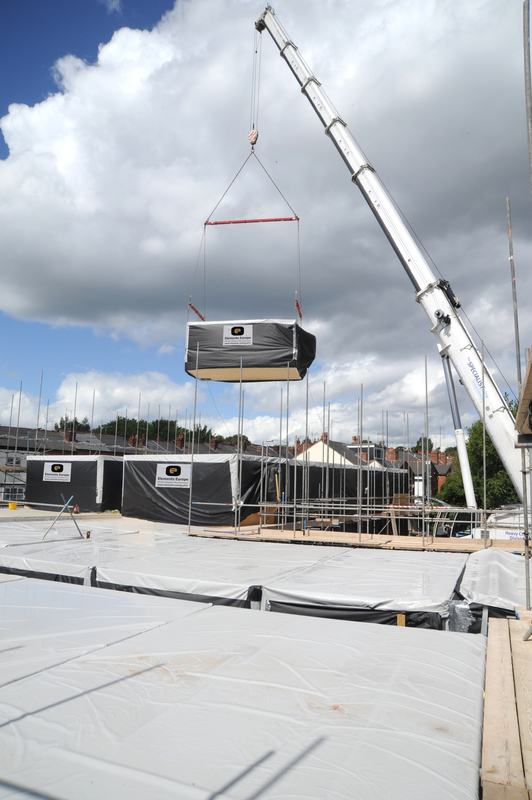 Pickstock Construction, the Groups building contractor will drive the build and the Groups off-site building solutions business Elements Europe will be pivotal in the project with the off-site build of 779 student Room Pods. This project will be the largest student accommodation scheme that Elements Europe has been involved in using the full volumetric Roompod system. Elements Europe also specialise in Pods for the Hotel, Health Care, Residential and Defence sectors. Kate Pickstock Senior Development Surveyor at The Pickstock Group says “The expertise we can draw from the different businesses in our Group enables us to offer our clients the very best service. From land acquisition right through to the snagging list, we manage the whole process resulting in an outstandingly efficient build. The client also benefits from cost efficiencies and the project is completed with exacting quality and standards that we strive for throughout the whole Group”. The student scheme on King Edwards Quay in Colchester comprises 779 student rooms across eight floors. The development offers two types of accommodation, studio apartments and student cluster rooms. There will also be a shop, bar and spacious communal areas both internally and externally. The accommodation which overlooks the River Colne will provide residents with easy access to both Essex University’s Colchester Campus and Colchester town centre. The scheme has been carefully planned with The Pickstock Group working closely with their client. The construction programme of the Colchester student accommodation scheme will be achieved in two phases, with phase one completed by September 2014 and phase two, which will be a mirror image of the first phase completed by September 2015, both in time for the new academic year. You can view an architectural fly through video of the building on You Tube by searching “Student Smart Accommodation Colchester”.